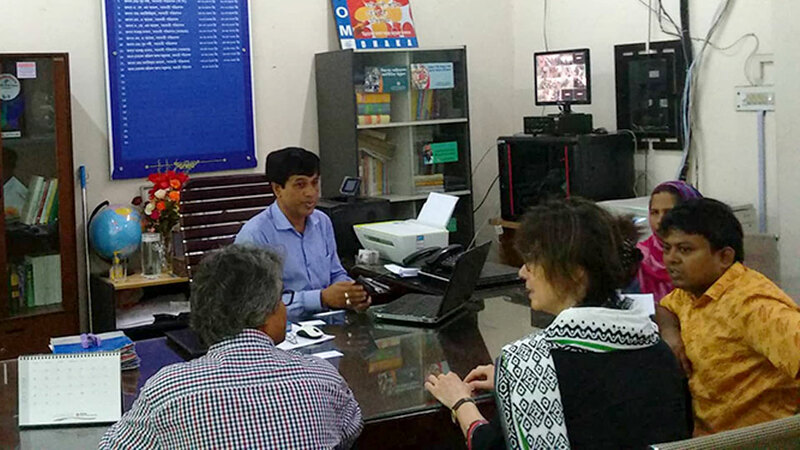 Nicola Dahrendorf, Team Leader of PROKAS Programme, British Council visited YPSA’s project Interventions in Chittagong from 17 July to 19 July 2018. 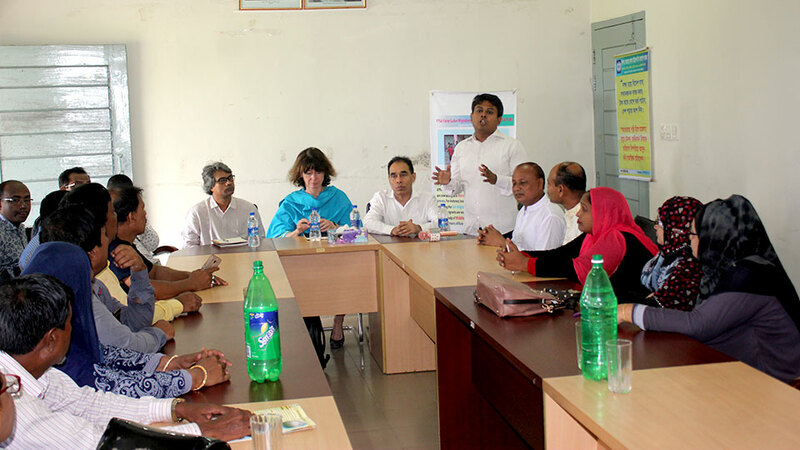 On 18 July 2018, she attended a sharing meeting with Grievance Management Committee (GMC), Youth Volunteers and Project beneficiaries of YPSA-Labour Migration Project in Rangunia, Chittagong. At this sharing meeting she wants to know the working process of GMC’s on solving overseas related complain in locally. As well as she asked youth volunteer about their benefits of working as a youth volunteer in Labour Migration Project. They replied that they love to work in volunteerism as well as in community development. This sharing meeting was presided by the panel mayor of Rangunia Paurashava. Md. Mahabubur Rahman, Director (Social Development), YPSA was present in this meeting. GMC’s has given a token of appreciation to Nicola Dahrendorf for visiting the GMC’s interventions in Rangunia. As well as given thank for supporting the project for ensuring safe orderly regular labor migration. 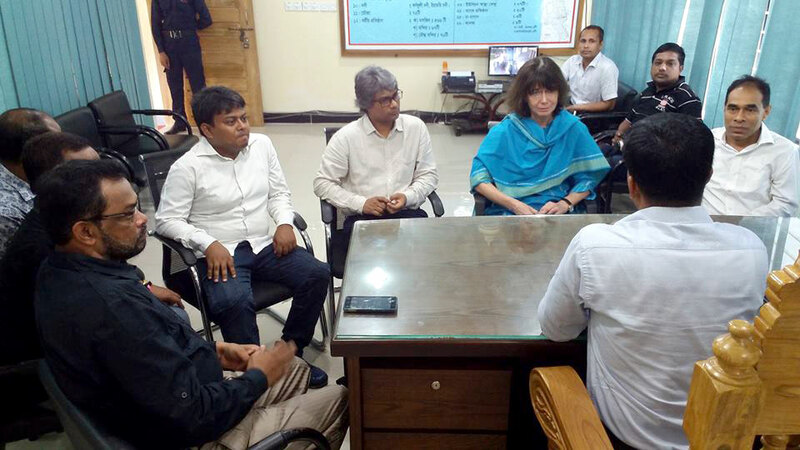 Afterwards, Nicola Dahrendorf has attended a meeting with UNO, Rangunia, Chittagong. 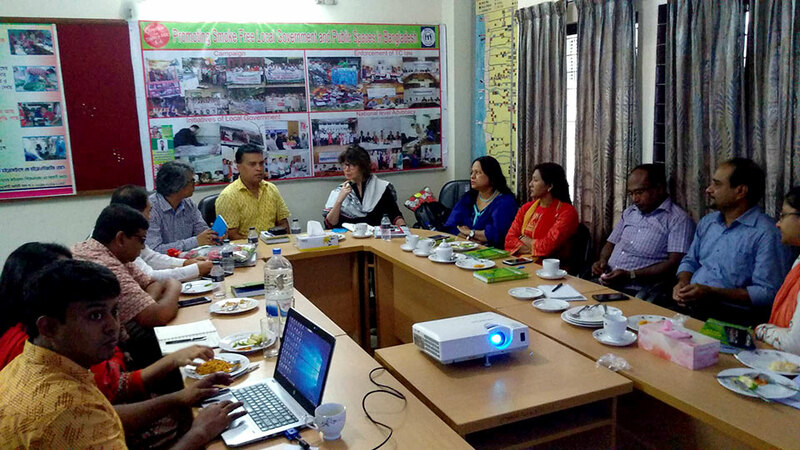 In addition to that day she attended a knowledge sharing meeting in Saraf Bhata Union, Rangunia, and Chittagong. On the knowledge sharing meeting she asked question to the participants that why they came here. On that aspect participants replied that they wanted to know the process of fair labour migration. Because his/her family members are now still in abroad and some wants to go abroad. So this is important to know the process of fair labour migration. 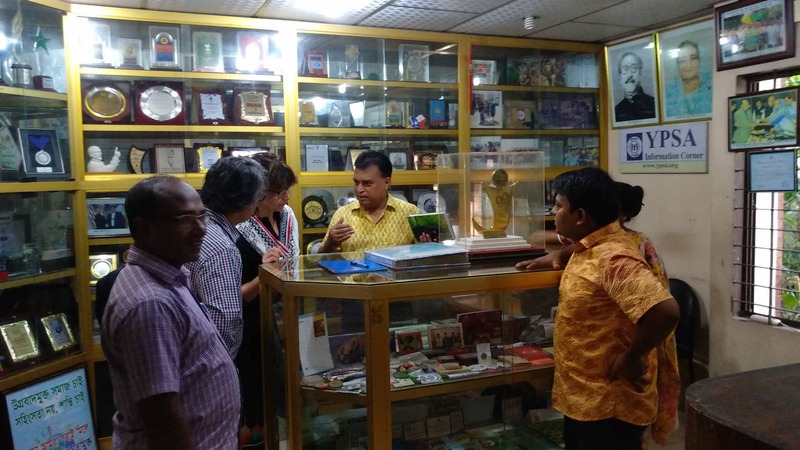 On 19 July 2018, Team Leader of PROKAS Programme visited YPSA Head Office at Chandgaon in Chittagong City. Chief Executive of YPSA has warmly welcomed to the Team Leader. At first she visits the information center of YPSA. The information Centre is the archived of YPSA’s recognition and records of different milestones. The Team Leader highly praised to YPSA’s after visiting the information center. She said it is innovative and ingenious idea. Then he attended an opinion sharing meeting with YPSA’s senior staffs. At the beginning of sharing meeting of YPSA, Chief Executive, Md. Arifur Rahman has given a welcome speech and given special thanks and gratitude to the Team Leader of PROKAS Programme for visiting the YPSA. Afterwards, a multimedia presentation on YPSA was presented. In addition to a presentation on YPSA-Labour Migration Project achievement, progress and future plan was shared by Md. Abdus Sabur, Program Manager, YPSA-Labour Migration Project. 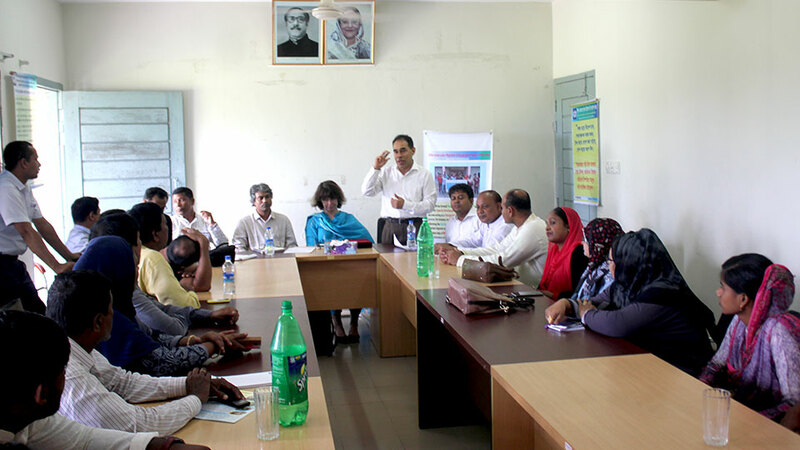 At discussion meeting, PROKAS Team Member, Mr. Abul Basar suggested doing more advocacy work with government for ensuring the benefits of migrates. He suggested doing advocacy work with Probashi Kollayan Bank for working at ground as well. 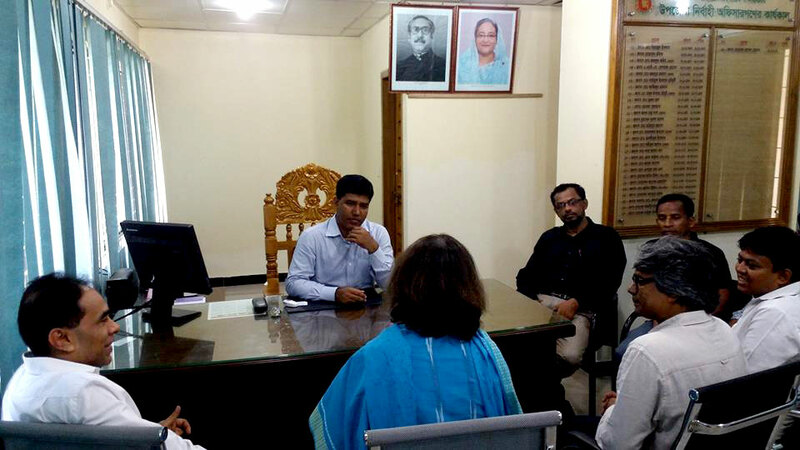 Put an end, PROKAS team has attended an introduction meeting with DEMO (District Empowerment and Manpower Office), Chittagong.